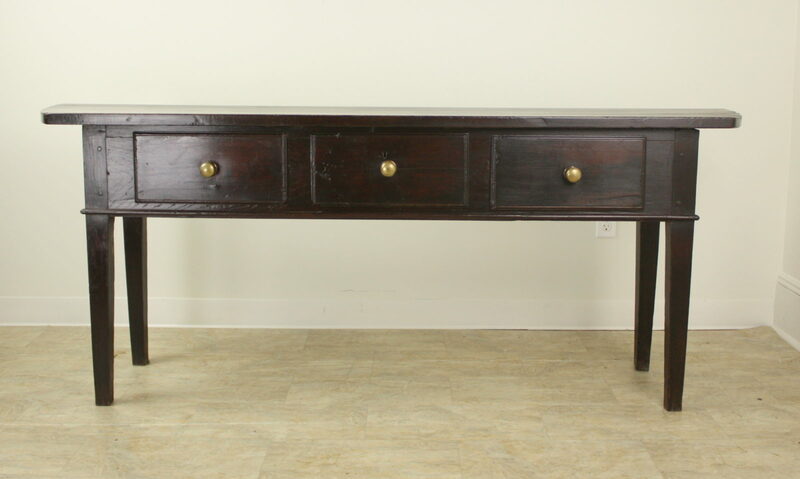 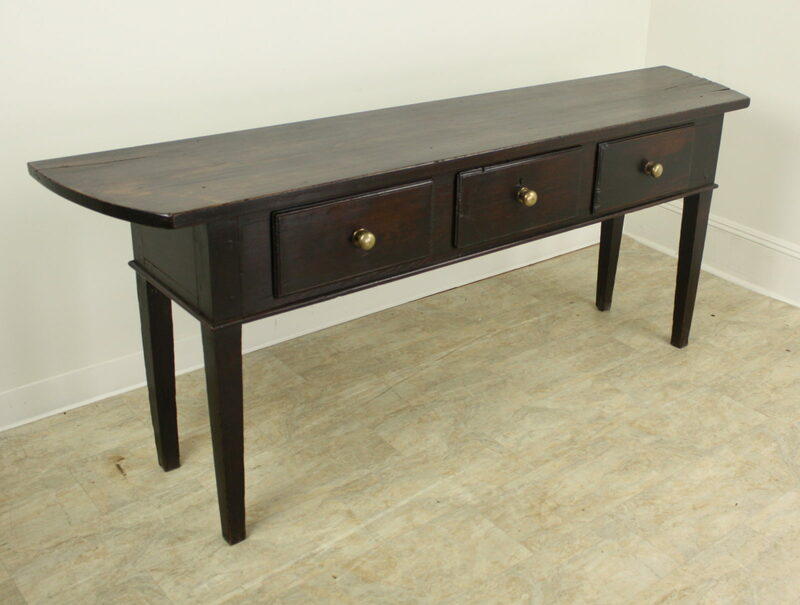 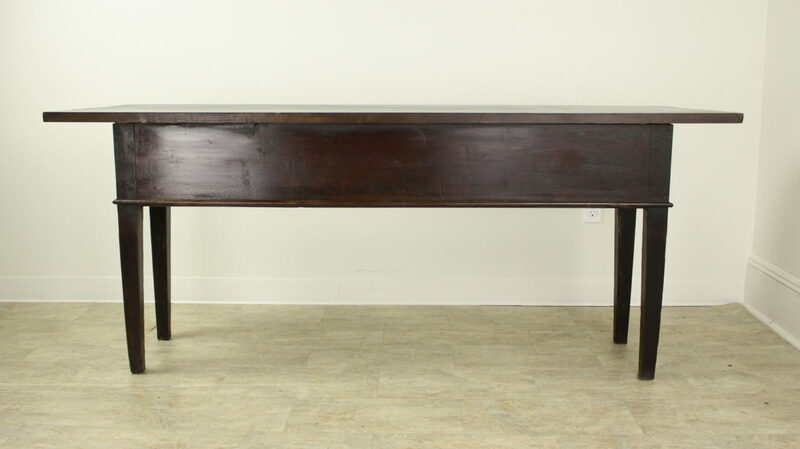 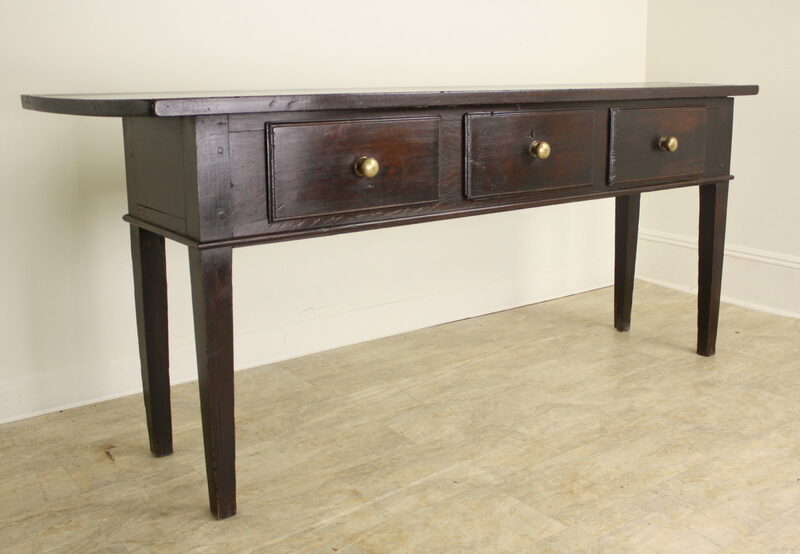 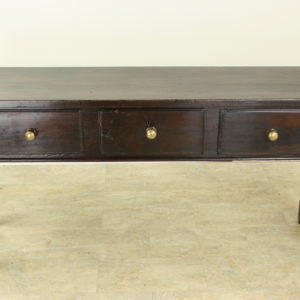 This long and elegant console table, in dark, rich fruitwood, is dramatic and impressive. 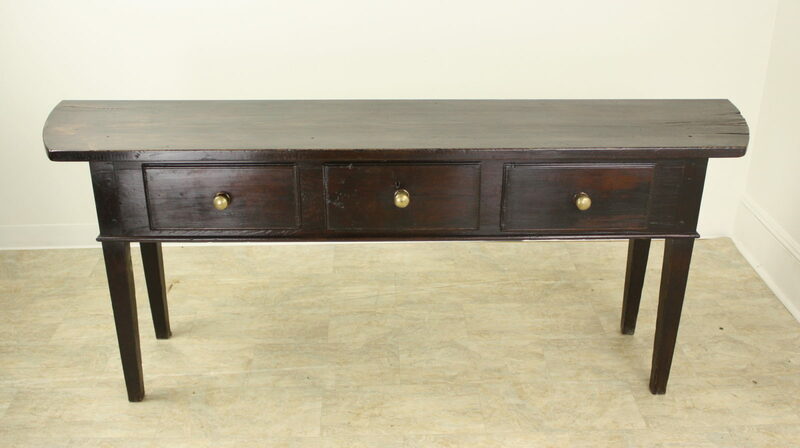 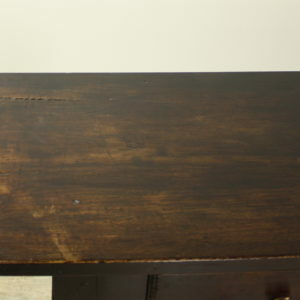 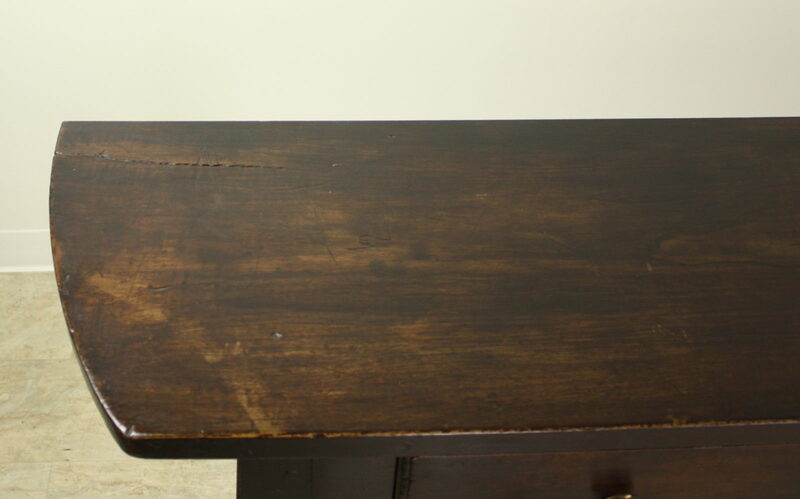 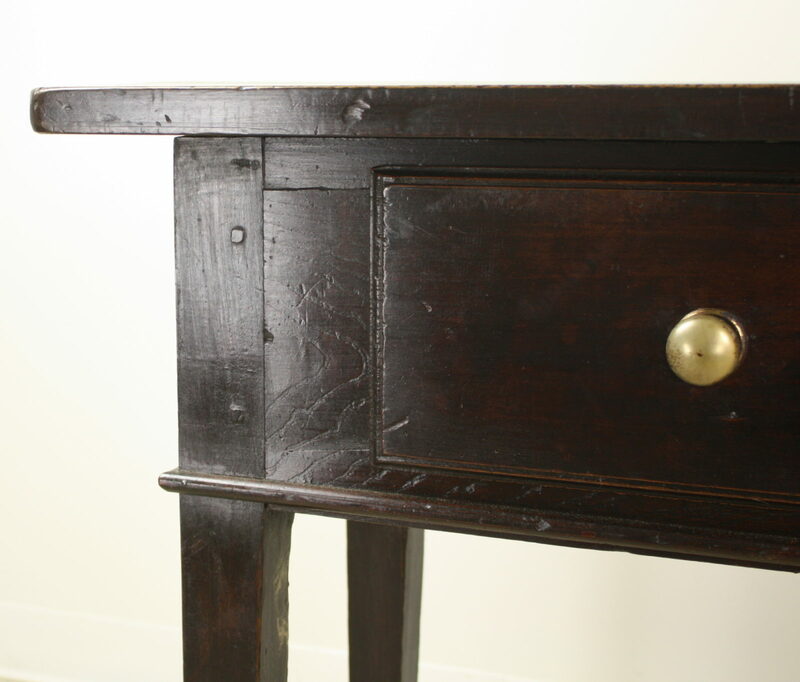 The ends on each side of the top are shaped much like a D-end table, which is quite unusual and eye-catching. 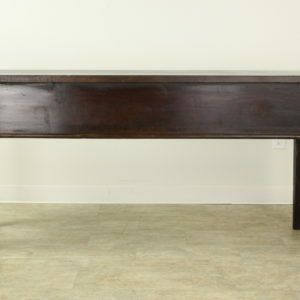 The top’s fruitwood grain is most attractive also. 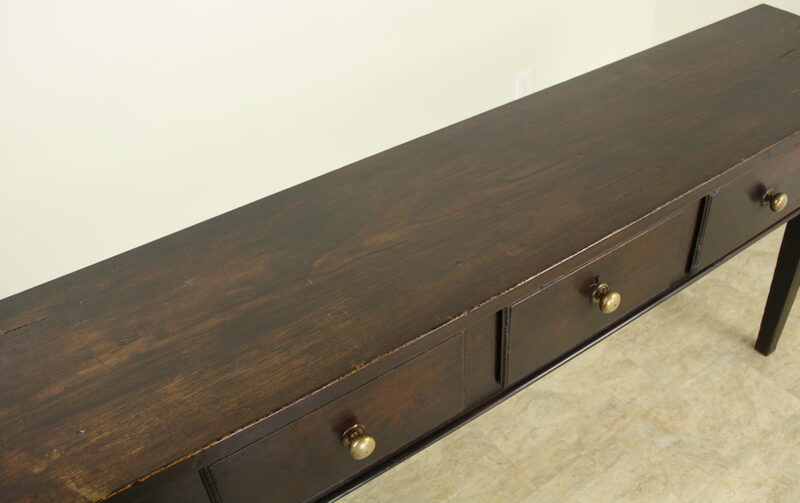 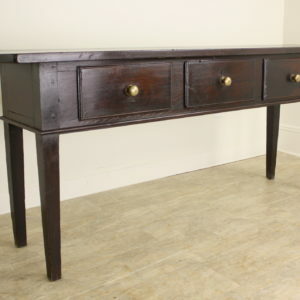 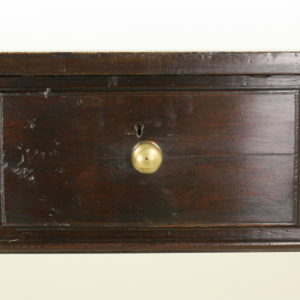 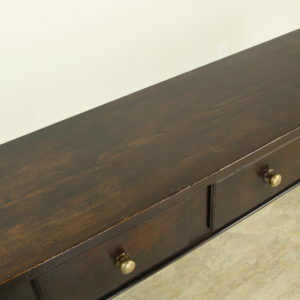 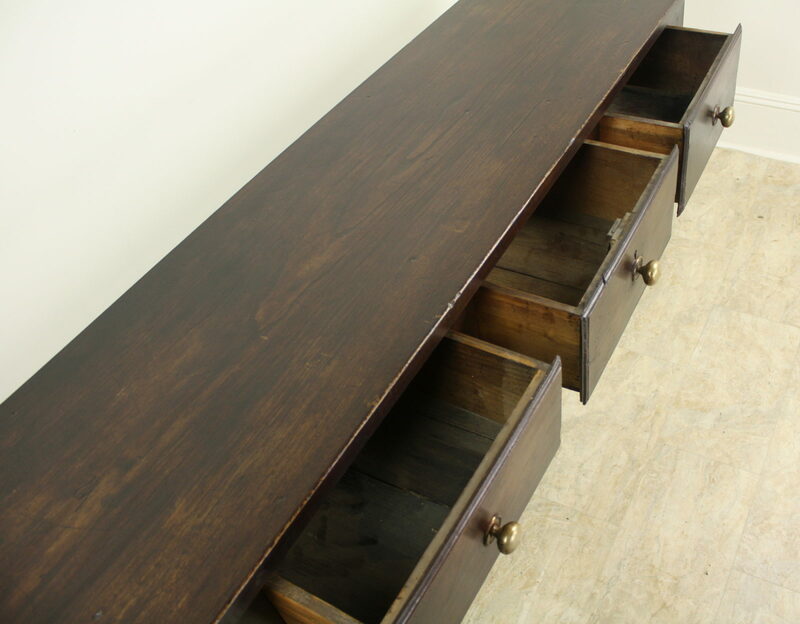 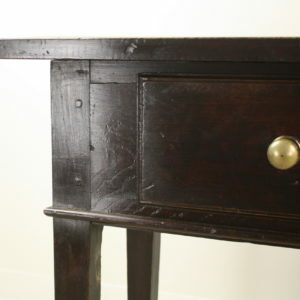 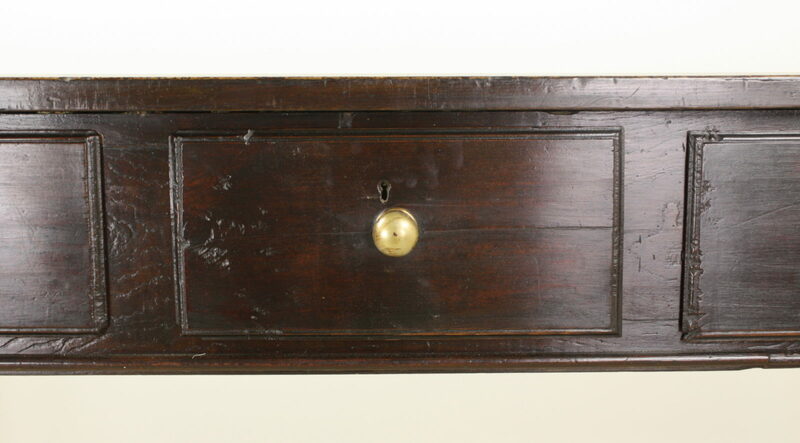 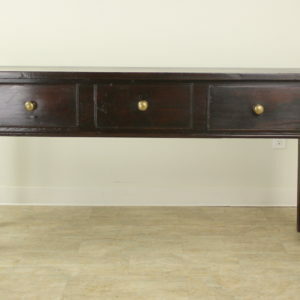 There are three drawers with simple brass pulls, and the legs are classically slender and tapered. 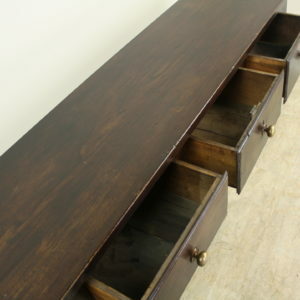 A narrow edge at the bottom of the apron is a fine finish to this lovely piece.